The Power Chords who? The Power Chords what? The Power Chords who? The Power Chords what? In this episode of Music of the Mat, Chris and Andrew are joined by Voice of Wrestling’s Rich Kraetsch to discuss a selection of hip hop wrestling themes. The funky beats and flowing rhymes of hip hop blend quite well with the wild world of piledrivers and powerbombs. 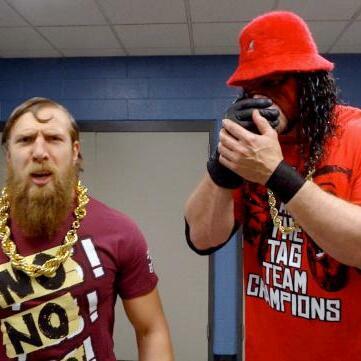 From WWE to ROH to NOAH and beyond, the three take a look at some of the best (and not-so-best) wrestling themes that hip hop has to offer.